The IRS can take your money and your investments through a levy, but that’s not its only tool. If you’ve allowed your tax problem to go for too long without making arrangements, under its levy powers the IRS has the power to seize your physical assets. While seizures are rare, they’re horrendously damaging when they happen. When the IRS decides to seize you assets, they’ll send you a notice to give you a chance to solve your tax problem. If you don’t work something out, a team of agents will physically take and secure your property. After a period of advertisement, the IRS will auction it off to the highest bidder. In some ways, seizure is the worst thing that the IRS can do to you. 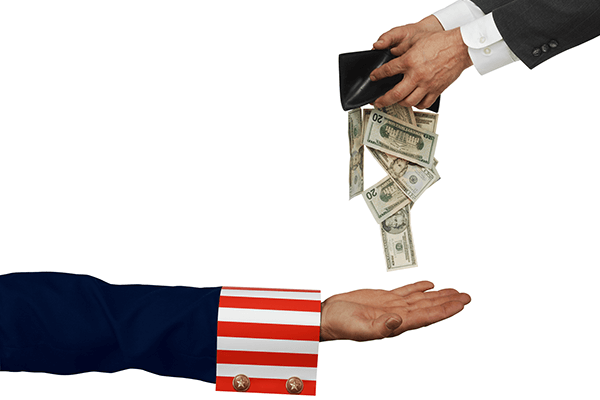 When they take your bank account, every penny in it goes to your tax debt, so if they get $7,500 from your bank, your debt will go down by $7,500. In a seizure, you don’t get what your property is worth, or what it costs to replace. You get what they sell it for at auction. If the IRS seizes your relatively new $37,000 car and sells it for $19,000, your tax debt goes down by $19,000, less auction fees. You’d be lucky if that happened — most of the time, the IRS doesn’t even get half of the asset’s value. Furthermore, a recent survey indicated that 30 percent of IRS seizures don’t even comply with the law. When the IRS sends you a seizure notice, it’s time to act. If you wait, you could end up losing your house, car, boat, insurance policies, or even your wedding ring. Fill out the form below for a consultation with one of our professionals. We can stop the IRS’s collection process in its tracks while we work out a payment plan or other arrangement for you to save you from losing your property.